As providers of critical infrastructure services, ISP, hosting, DNS, CDN, and security solution vendors face skyrocketing expectations while operating in an ultra-competitive marketplace. Even as established services commoditize and margins shrink, users demand ever-higher performance, convenience, and security. If you are an executive or network owner, the challenge is stark – modernize or fall behind. The good news is that you already hold the key to a profitable future. 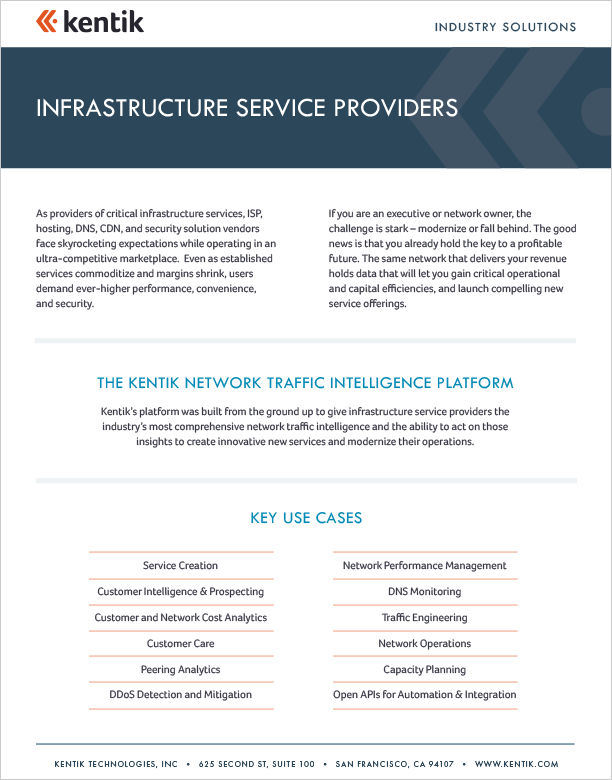 The same network that delivers your revenue holds data that will let you gain critical operational and capital efficiencies, and launch compelling new service offerings.